Similar Balls: Same Hook Potential, Lane Conditions & Coverstock as the Storm Phaze II. Very 1st game shot 279 and even 700 series. 2nd time out in league shot 267, 236, 268 for 771. Two other league outings shot 620, 638. Great ball. Lefty hardly leaves any 7-pins anymore. since my purchase i have shot multiple 250s, a 270 and 288 and a 713 set in there. I've only had it for a month and im a sub, cant imagine how good it will be if i bowled regularly. Great ball, 270 2nd night I used it. This ball is fantastic, threw my 3rd 300 game (1st with this ball) an my 1st 800 ever. The ball explodes into the pocket. What is the recommended drilling pattern for this ball? The difference between the Phaze and Phaze II is the coverstock and finish. The Phaze II is a solid coverstock with a 3000 Abralon finish to help get the Phaze II reading in the midlane with a strong smooth hook reaction. The Phaze is a pearl cover with a polished finish to get it more length with a sharper backed hook. Because the Phaze II reads well in the midlane it helps the Phaze II read heavier oil than the Phaze also. Where would this ball fit in with the storm lock? The Storm Lock is the higher performance ball so it would cover more boards. The Phaze II would read the lanes just a little earlier than the Lock which helps it start hooking just a little earlier but it would still be just under the overall hook that the Lock has. You may could use this behind the Lock if the Lock is just barely too aggressive but you would not be able to use this for very long before you would have to change again to something that was a little weaker because it is just under the Lock in performance. What the RG Ratio mean ? 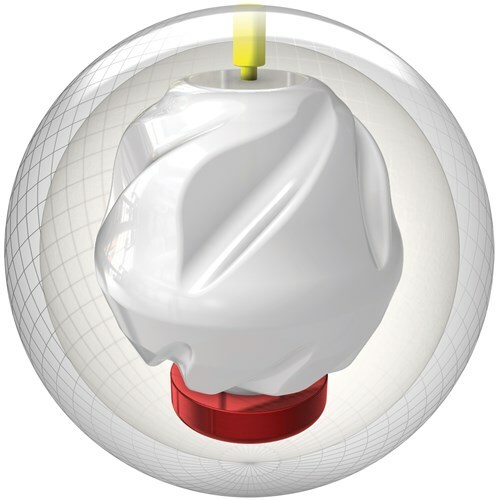 The United States Bowling Congress defines the RG (Radius of Gyration) of a bowling ball as a measurement in inches and is the distance from the axis of rotation at which the total mass of a body might be concentrated without changing its moment of inertia. The RG is a measurement by some manufacturers in a range from 2.460" to 2.800", but some companies have converted them to a 1-10 scale to help give the consumer a better frame of reference. The These numbers describe the distribution of mass in the given bowling ball and RG is an account of the location of that mass inside the given bowling ball. Do you drill the holes? Hello Bob. We do offer custom drilling for $39.95 and that can take 7-10 business days before it ships out. Otherwise the ball will come undrilled and you can take it to your local driller. Hi David! We do have 15 pounds available. Unfortunately, we do not have the inventory for the pin and top weight. After the order has been made, our warehouse will let us know what they have available. What is the 'RG' of a ball? Hello Ron! 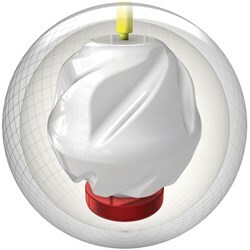 Identifies how fast a ball begins to rotate once it leaves the bowler's hand. Hi. Unfortunately, we only keep the weights of the balls on our inventory. Our warehouses keep inventory of exact weights. I have the original phaze and a spare ball. I am averaging 210 at the moment and it brought my ave up from 180. I am looking for something that gives me a little more drive during my 1st/2nd game. Will this ball help drive when my original phaze seems to deflect a tad? I have a lower rev rate (not terribly low). I was wondering if I’d still get it to hook? Yes, you will still be able to get this ball to hook for you. I am 2 handed and put lots of spin on my balls. Would this ball be good? How would this ball do on a house shot or heavy oil lanes ? This ball will best perform on medium-heavy oil lane conditions. The Phaze II is symmetrical. What is the core on a 13lb ball? The Phaze II will be more aggressive than the Gamebreaker. How does this ball compare to the Roto Grip No Rules Exist? Looking to add another solid to my tournament bag. 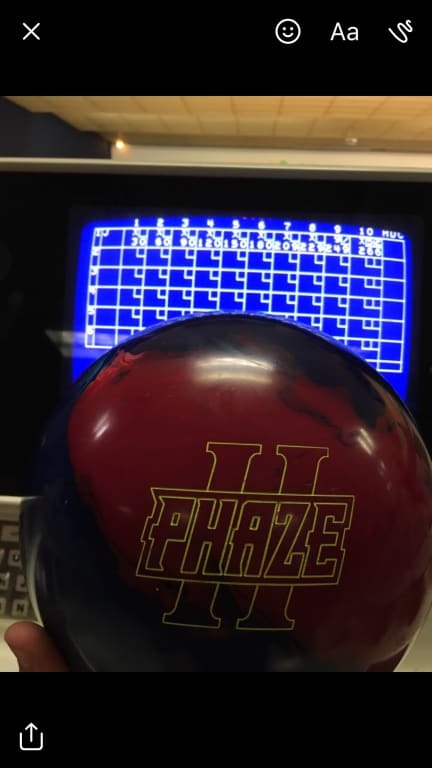 The Phaze II will be a little less aggressive than the Roto Grip No Rules Exist for the Phaze II is an Upper Mid Performance ball and the No Rules Exist is a High Performance ball. Im looking to replace my Idol Pearl with this ball to fit my lineup of Crux Prime and Fever pitch. How would this compare to the Idol pearl? The Phaze II will be a little more aggressive than the Idol Pearl for it is a solid coverstock and the Idol Pearl is a pearl coverstock. Meaning the Phaze II will hook sooner than the Idol Pearl. 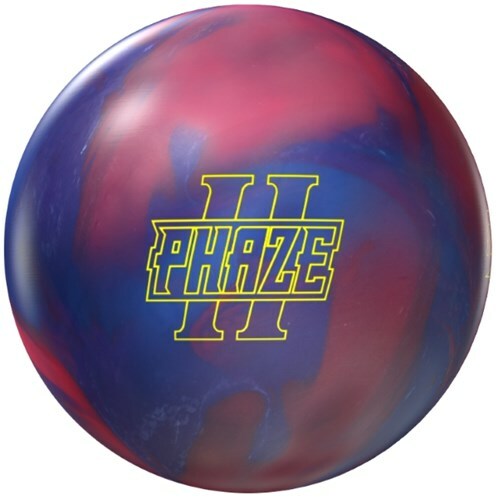 Due to the time it takes to produce the Storm Phaze II ball it will ship in immediately. We cannot ship this ball outside the United States.